The Kania School of Management’s partnership with Barron’s In Education begins Feb. 15 and will provide students and faculty access to Barron’s digital assets and additional educational resources. The program at Scranton was sponsored by alumnus Peter Butera ’83, senior vice president wealth management, Merrill Lynch Wealth Management. 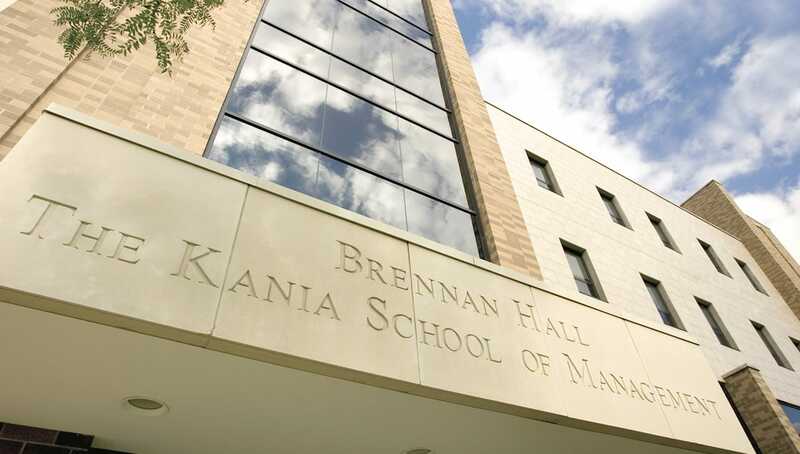 This semester, The University of Scranton’s Kania School of Management will join select business schools in the country participating in the Barron’s In Education program from Dow Jones. The program, which Barron’s Group launched in early 2018, provides business students and faculty digital access to Barron’s and additional educational resources made available exclusively to partner schools. The University’s participation in Barron’s In Education was sponsored by Scranton alumnus Peter Butera ’83, senior vice president wealth management, Merrill Lynch Wealth Management. In addition to access to Barron’s digital content, the program provides access to guest speakers available from Dow Jones and Butera Jordan Bender Group/Merrill Lynch, tours of Dow Jones headquarters in Manhattan for students, and opportunities to connect with Dow Jones recruitment teams for possible internships and fulltime positions. KSOM faculty members will have access to Barron’s Weekly Review, a weekly summary prepared for faculty to bring real world events into the classroom. The KSOM Dean’s Office can also nominate up to three students for enhanced training to serve as Dow Jones/Barron’s Student Ambassadors. KSOM students and faculty can access Barron’s In Education through a portal on MyScranton.com beginning Feb. 15. The Barron’s in Education program partners with academia and engages students to join business leaders, top market professionals, C-level executives, business school faculty and highly successful investors across the Barron’s community. For more information go to: http://go.dowjones.com/barronsineducation.